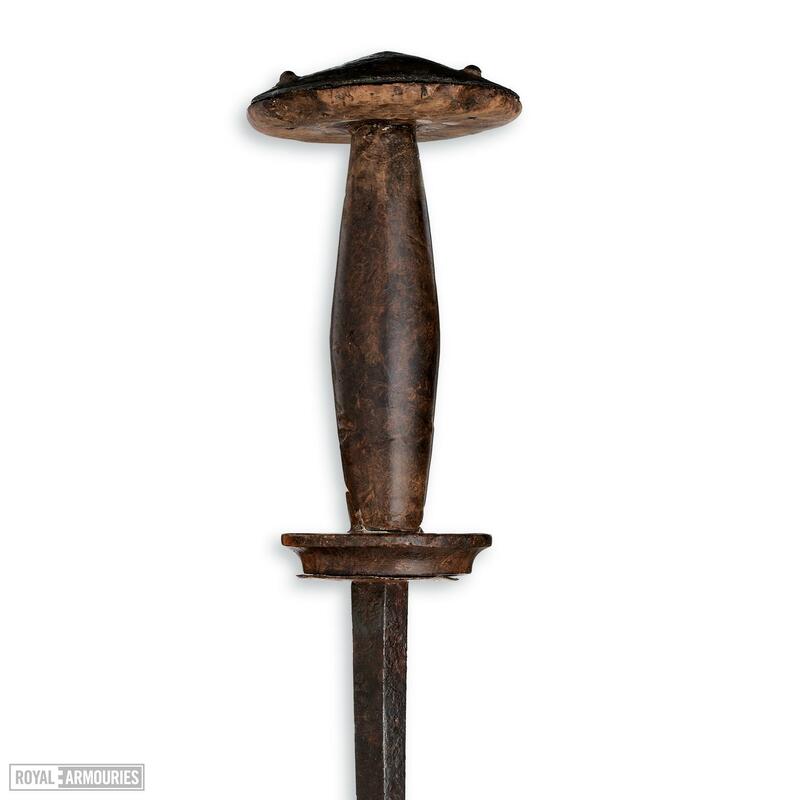 A rondel dagger often had a slender and pointed blade and was characterised by a disc-shaped guard. Rondel daggers were used widely between the 14th and 16th centuries. They were considered to be 'knightly' weapons. A number of medieval monumental brasses — a type of relief carving often set in the floors of churches — depict knights carrying rondel daggers. The name 'Rondel' comes from the two characteristic discs on the grip. One disc formed the pommel, and the other the guard. 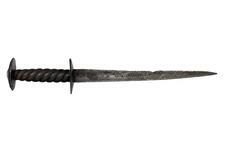 Rondel dagger blades were often strengthened, and may well have been used as a 'mail breaker'. Daggers and knives were usually regarded as a back-up weapon in hand-to-hand combat. They were typically used for stabbing. 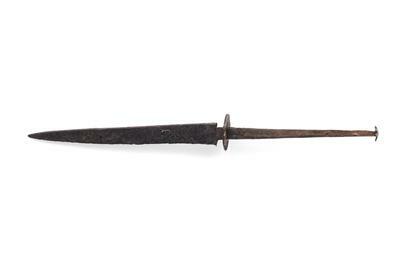 The rondel dagger had a long stiff blade with a thickened point, which made it easier to pierce armour or to seek out the gaps between the armour plates, especially at the eyes, armpits and groin. 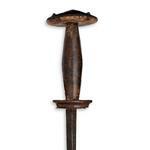 Frequently, daggers were used point downwards to deliver a merciful coup-de-grace to a fallen foe. 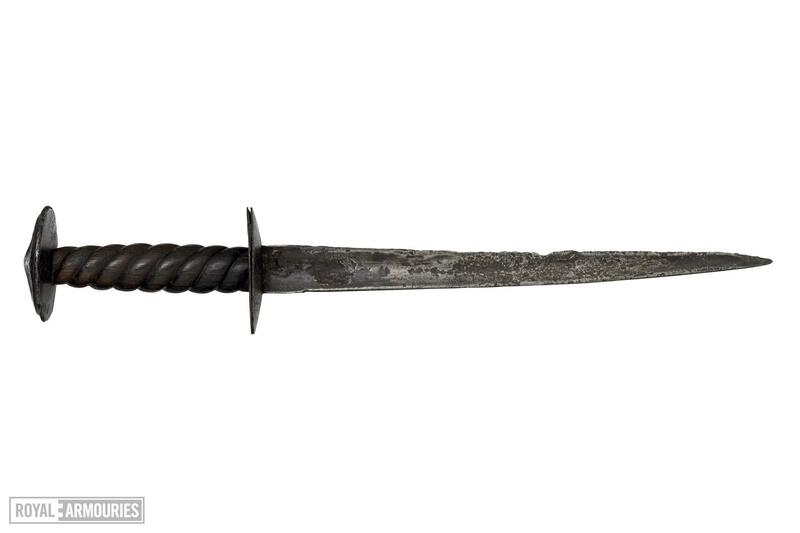 The contemporary post-mortem analysis on the remains of King Richard III showed that he possibly suffered a rondel-dagger type wound to the head, among other trauma, at the later Battle of Bosworth in 1485.